Remember way back when, you know, when you were a kid and you had a list of books you had to read over the summer? And you had to write those terrible book reports on them? Oh, summer reading. I was so excited when I got to say goodbye to that. Not because I don't love reading (especially during the summer), but it's just the thought that I had to read something. I like to read for the fun of it. Let me read for me! So here are the books I've been devouring this summer! "Summer Sisters" | A summer CLASSIC, you guys. If you're a lady and you haven't read this, go get it RIGHT NOW. A tale of friends through the years, and the perfect beach read. 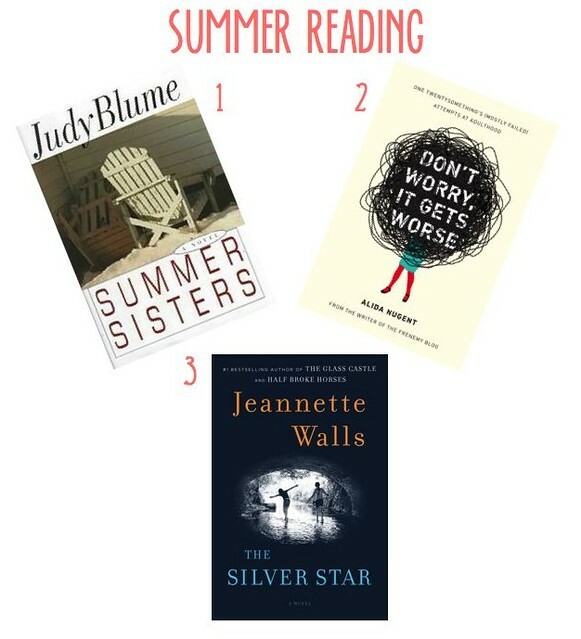 It's a book I'm constantly recommending, and people are always blown away that Judy Blume wrote an adult(ish) novel. It's just so perfect. "Don't Worry, It Gets Worse: One Twentysomething's (Mostly Failed) Attempts at Adulthood" | Guys. This book is hilarious. I tore through it in just over a day, and found myself giggling over and over again. 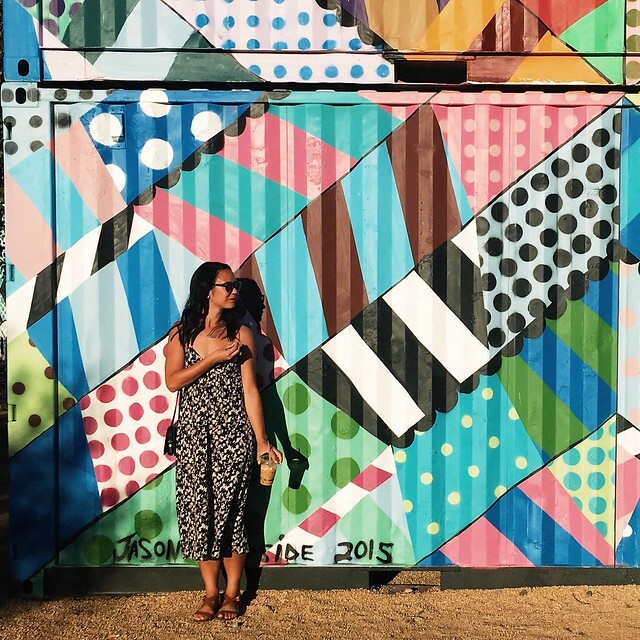 Alida, the lovely author, is a fellow twenty-something (we all know how I feel about twenty-somethings), and she writes a hilarious blog called The Frenemy and talks about all the crazy things you go through post-college. She reminds me of Sloane Crosley. "The Silver Star: A Novel" | There's a big love in my heart for Jeannette Walls. Her books have touched my heart in more ways than I can count. She's so brutally honest and she writes with such passion. "The Glass Castle" is one of my favorite books of all time. This book is definitely different from her previous two, but I think her honesty still shines through. I think it might be geared more toward a younger crowd (maybe YA? ), but I often read YA now, so I'm cool with it. What are you reading?? My Kindle can always use some new reads. Disclosure: I was provided a free copy of "Don't Worry, It Gets Worse" for review. All opinions expressed are my own. ooooh I'm putting these on my ever-growing book list. Right now, I'm reading Lean In and LOVING it, but I'm ready for some fiction. Gone Girl is up next. EVERYONE is talking about Lean In! I guess it's time to read it. If you're into YA novels, I'm about halfway through John Green's "The Fault in our Stars". I've already laughed out loud a bunch of times and unexpectedly shed tears on the train. According to everyone I've talked to who has read it the whole way through, I'm going to have to sit and contemplate life for awhile once I've finished it. i will add all 3 of these to my goodreads "to read" list! if you want to see what i have been reading, click here :) http://www.goodreads.com/user/show/4518958-amy-breckenridge maybe you'll find something you like! Just finished A Place at the Table by Susan Rebecca White and it's a gem. My sister loved Jeannette Walls', too so I've got that one cued up. Putting it on the queue! Definitely going to get Summer Sisters now. Looks so good! SUMMER SISTAS <3 Now must get my hands on the other two!